I received five sheet masks from Jolse to test out. 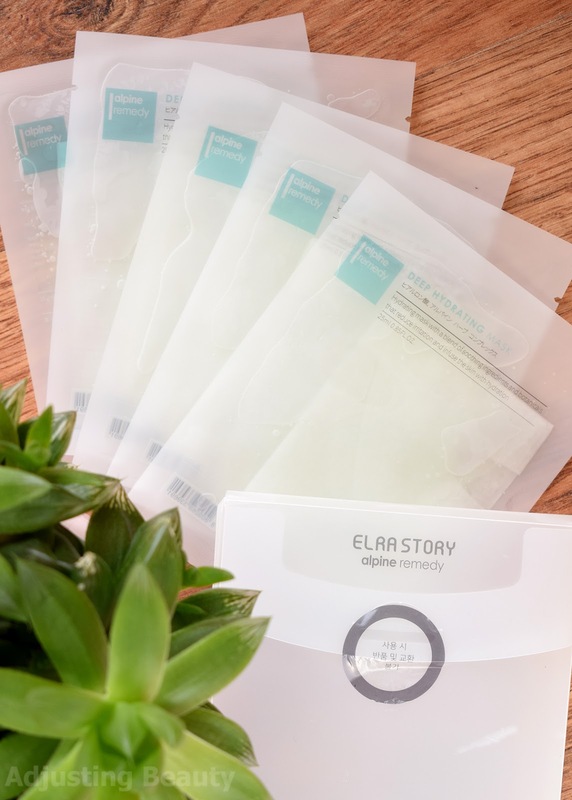 They are from a brand called Elra Story and it's their Deep Hydrating Masks. 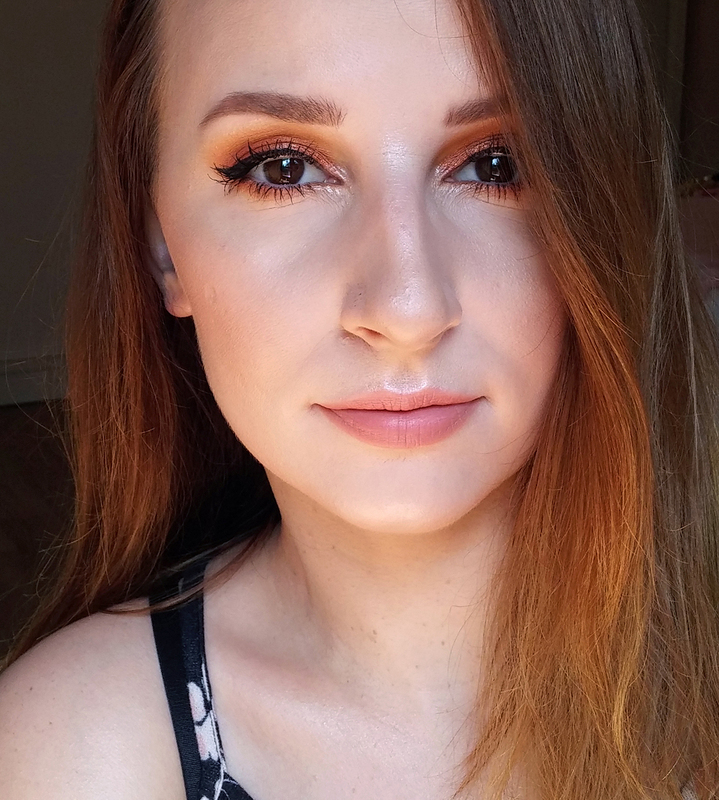 Ever since I tried my first Asian sheet masks, I love exploring more. Those are my favorite pamper skin care products to use whenever my skin is in need of a little more care. They provide the skin with a high concentration of serum like ingredients and it all penetrates into the skin well, because it's soaked in a sheet. It comes in a muted plastic box and in it you get 5 sheet masks. Each mask is in a separate plastic bag. Sheet has cotton type material which is quite thin. It sticks to the skin really well, because it's soaking in essence. Fit is good, but it's too short down my big nose. Eye holes are small, which I like and the mouth has upward cut out, as per usual. It's also wide enough. In it is 25 ml of product in each sheet which makes it really saturated and there is a lot of leftover that I use next few days. It costs 13.60$ on Jolse. It comes down to 2.72$ per mask, which is very affordable. 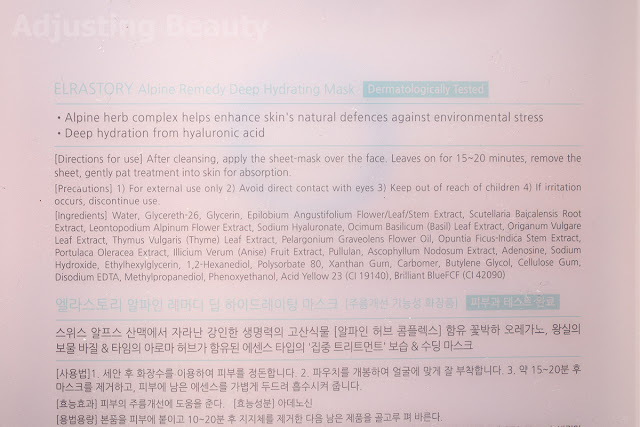 This is supposedly intensely-hydrating mask infused with a blend of soothing ingredients and botanicals that reduce the signs of irritation while boosting the moisture level of the skin. It contains Alpine Herb Extract, hyaluronic acid and other naturally-derived ingredients to strengthen skin barrier and leave skin moist and supple. It should also help reduce the appearance of wrinkles and fine lines. 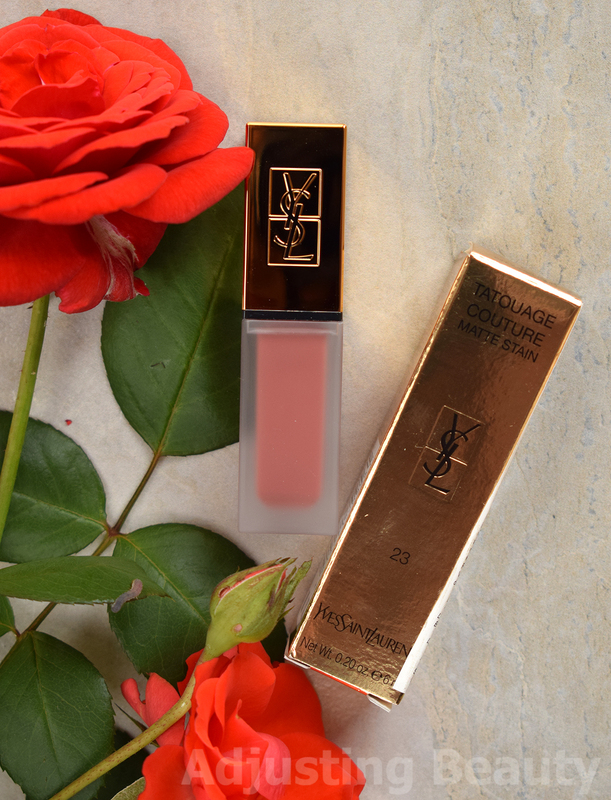 It's got that thinner transparent gel like texture that soaks into the skin well. Scent is herbal and quite gentle, so inoffensive. Despite being soaking wet, this sheet dried out faster on my dry skin parts than I expected it too. Either my skin was so in need of hydration or I had it on for too long in general. It felt very soothing and cooling. There was no irritation. After I took it off the skin felt a bit sticky and looked shiny. It soaked in quickly after that and there was just a slight sheen left on the skin. 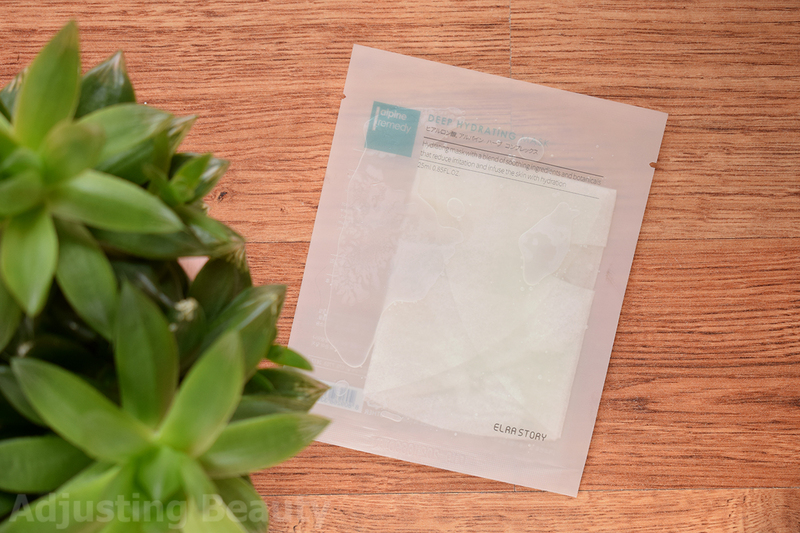 This is a basic soothing hydrating sheet mask, just as it promises. It's good for dehydrated or combination skin, but very dry skin might need more nourishment. I really like how soaked in essence this is. There was so much leftover essence that I could use it for one week as a serum. Sheet has good size and I like that the material is quite thin. 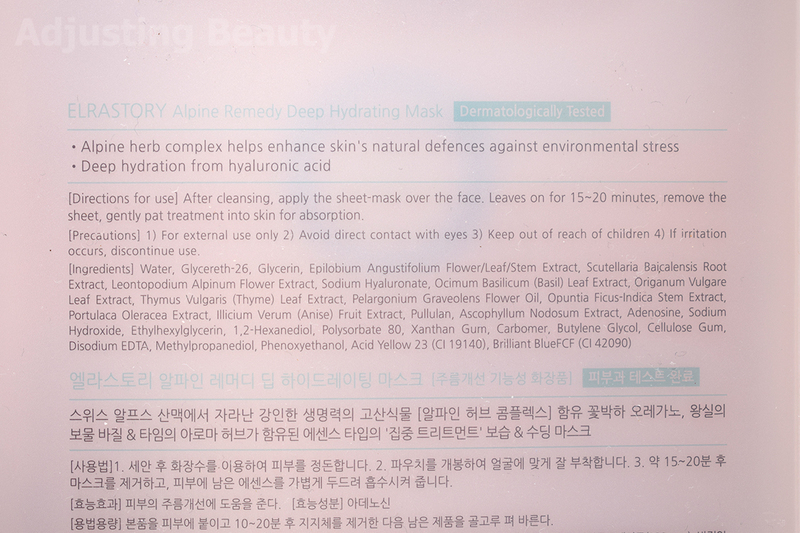 As for the mask, it's definitely hydrating and feels very soothing, but not much more than that. Pretty basic. I would love a bit more nourishment. But it's not irritating and I like that it soaks into the skin well. This would be perfect for dehydrated or combination skin that just needs a good dose of that hydration and something to calm it down. Dry skin might need something richer and more nourishing. *Product was sent to me.